Receive our monthly e-newsletter for up-to-date Topeka happenings and travel deals. When you’re planning where to dine, what to see and where to play in Topeka, Kansas, count on us. The official blog of Visit Topeka brings you what’s new, what’s coming and Topeka’s hidden gems so you can experience the best of #TopCity. Real talk: we take our kids to playgrounds so they can burn off energy while we cheer them on from a pleasantly-shaded bench. We want them to have a blast exploring, but if we’re having to chase after them while baking in the sun or run around underneath the toddler like Olympic gymnastics spotters, we are not happy. 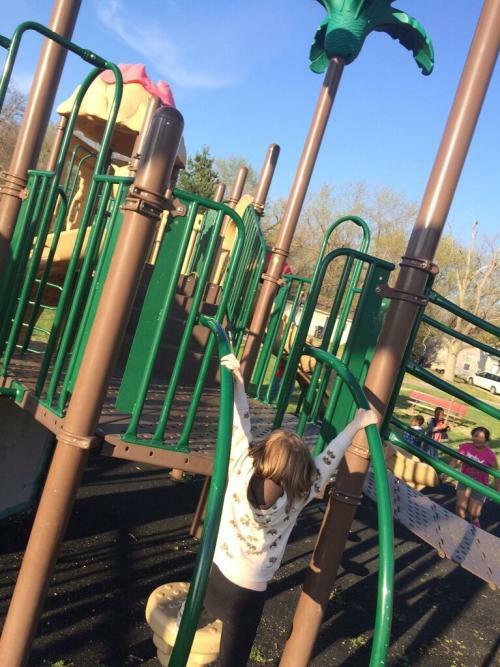 Our favorite playgrounds have entertaining elements for older kids and safe options for kids just learning to climb, shade and an absence of hazards nearby that our children will inevitably run towards at full speed. 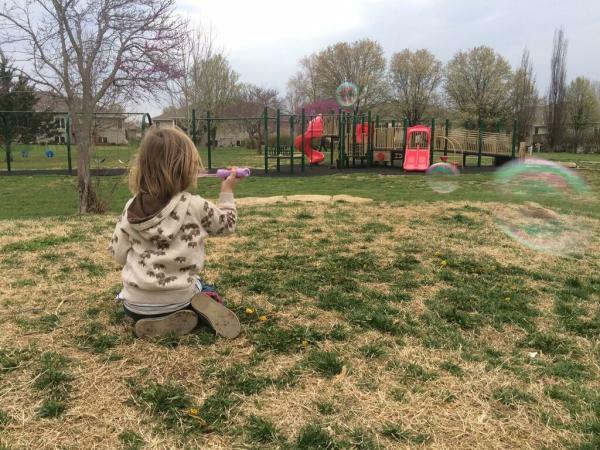 Although we love a great play structure we also like natural areas, either landscaped or wooded, for kids to explore. 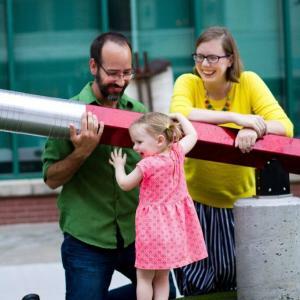 Matt is drawn to the old-school play elements, like metal climbers, giant slides and merry-go-rounds, the stuff he fondly remembers whacking his head on as a kid. 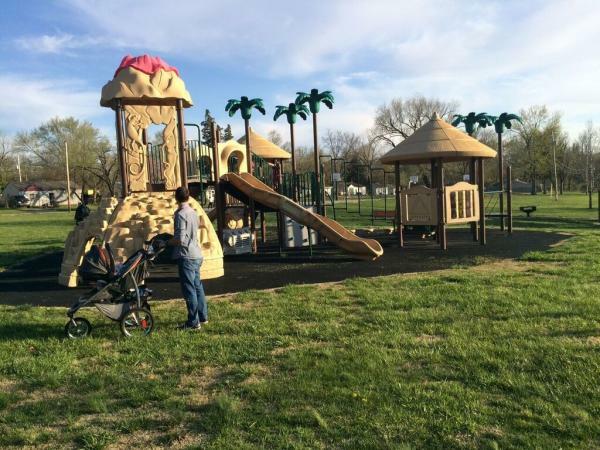 Topeka has a ton of great playgrounds that are well-known—Gage Park, Shunga Park, Lake Shawnee, Garfield Park—but here are a few of our lesser-known favorites. Betty Phillips Park: 3303 SE Irvingham St.
We discovered this one while playing Pokémon Go (gotta catch ‘em all!) and immediately loved the tropical-themed play structure complete with palm trees and a volcano! 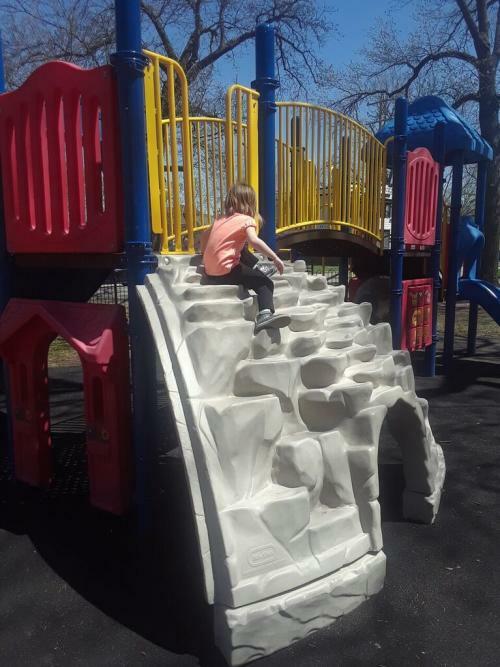 The main play structure is definitely better suited for kids old enough to climb but the ground level offers enough to entertain a little (monkey tunnel, volcano cave, pretend Jeep) that it might keep a toddler from careening towards the higher levels. It’s next to a legit nature trail that loops through the woods and a massive swath of open green space. There are no trees near the play structure so it would get pretty hot on a sunny day, although there are covered picnic tables nearby. This playground wins the “friendliest neighbors” prize in honor of a recent visit in which a resident came out of her house as we were parking just to chat and invite us to the upcoming neighborhood BBQ. 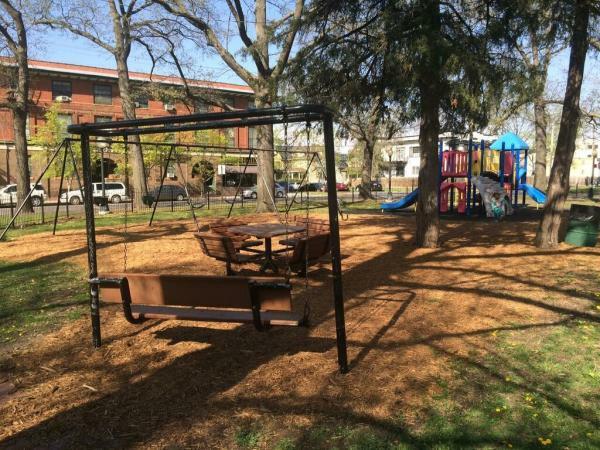 Tucked into the historic College Hill neighborhood, this park has a nice, compact mix of play areas including equipment for toddlers. The play structure has some pretend play elements and a nice mix of slides. A landscaped area provides a divider between the play area and the parking lot while serving as a space for older kids to explore. A gazebo provides a fun, inventive play space and there’s a huge, fenced, open field with goals in place for games or space for mindless running in circles. 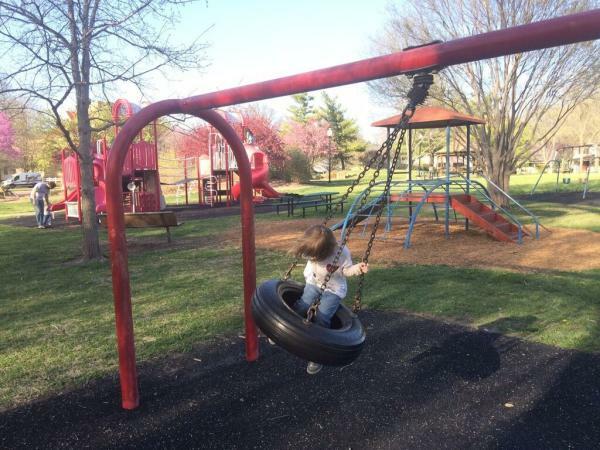 Major bonus points for a tire swing! 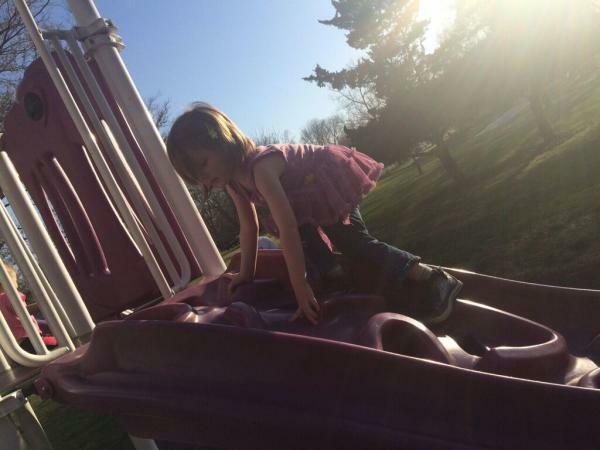 The most toddler-friendly playground on the list, Brookfield has a great ramp entry play structure perfect toddlers, who can access all the elements using low steps. 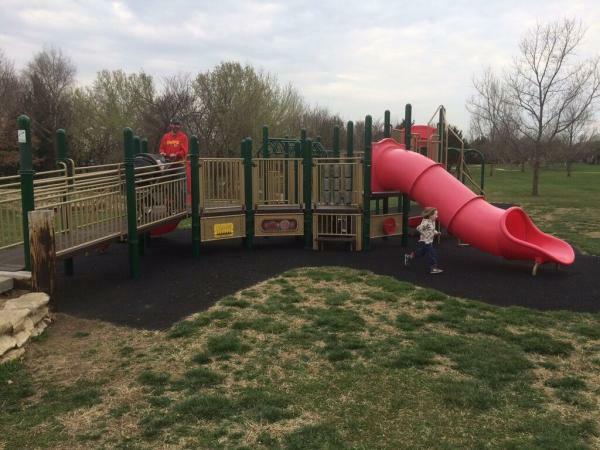 It’s also great for accessibility, with visitors able to take a stroller or wheelchair right up into the play structure. 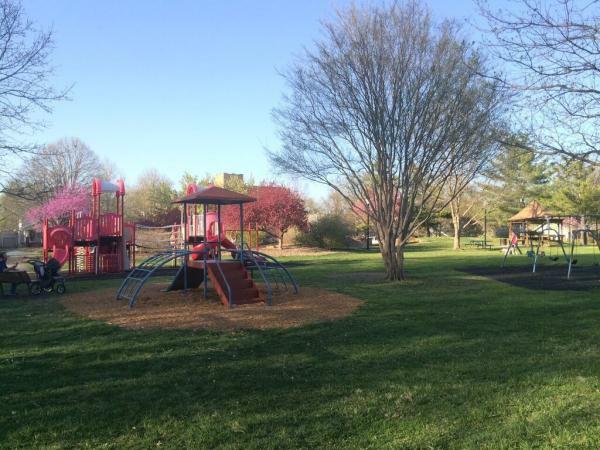 A short, paved walking trail takes you by a nice mix of green space and fascinating old trees, and there are opportunities for kids to do some off-trail exploring of a wooded creek. The creek area is narrow and doesn’t have much in the way of steep drops, so it’s a great place for small explorers. Brookfield is just a few blocks from Wanamaker if you’re out shopping and also has tennis courts, basketball courts and covered patio tables. Consider grabbing lunch on Wanamaker and having a picnic here! 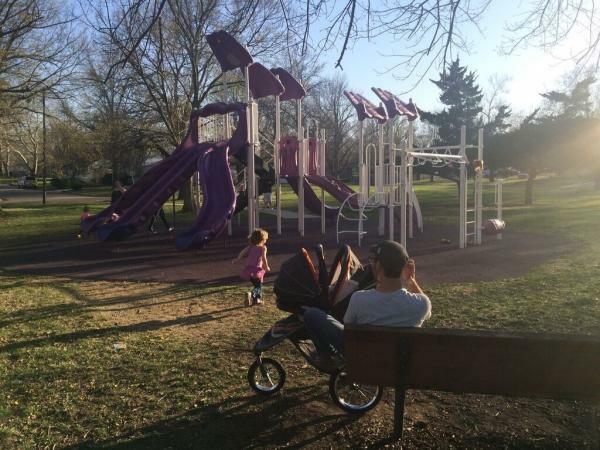 Better known as the “purple park” than its actual name, Hillsdale, this playground is the home of an epic triple slide, great climbing elements on the play structure and tons of green space dotted with beautiful old trees. The structure has toddler-friendly elements but is most suited for older kids who will love the climbing bridge and unconventional monkey bars. The barrel roll is a fun touch. It’s only about 30 feet from a creek with fairly steep banks that looks like fun for older explorers but makes the park a bit dicey for littles. Even our adventurous three-year-old was wary and I never thought I’d see the day she didn’t go careening towards a water hazard. There’s an older section of the playground to the north of the main structure with a swing, a sand pit and diggers. Surrounded by the Holliday Park neighborhood, which is one of the oldest in Topeka, this park oozes charm, with brick walkways, a stone fountain and a monument dedicated to Topeka forefather Cyrus K. Holliday himself. A big advantage of being in a park this old is that virtually the entire park is shaded. The play structure is small but has elements for toddlers, a cute built-in playhouse and an impressive climbing cave. Our favorite elements is a porch-style swing that the whole family can swing on together. Holliday Park is near busy streets but is surrounded by low fencing. This location puts you just a few blocks from the capitol and right across the street from the Holiday Cafe, a local favorite for sandwiches and pan-fried tacos. For more ideas on planning the perfect #TopCity Family Adventure, click here. © 2019 Visit Topeka, Inc. All rights reserved.